Does my deck take longer to build during a St. Louis winter? No! In fact, during the spring and summer, backlog times for deck building and other outdoor renovation projects can reach up to six weeks. By choosing to install your deck in the winter, we can get to building at a much faster rate, often with very little to no backlog! What does that mean for homeowners? Your new stunning outdoor addition is ready to be used with turnaround times as low as two weeks! Will winter weather alter your ability to build my new deck? No! Pouring foundation in winter weather will not compromise the structural integrity of your deck as the seasons change! Lower humidity helps maintain the quality of your deck, particularly if it is hardwood. The lack of moisture in the air helps ensure that our hardwood and composite options are utilized in ideal conditions. 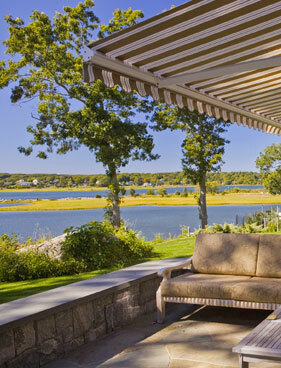 Also, building your deck in the fall or winter reduces the risk of delay in build due to spring or summer rain. Is my yard more difficult to work with if there is snow on the ground? 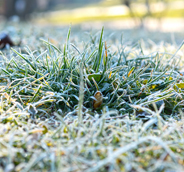 Your yard serves as a perfect foundation to build on all year round. Choosing to build your deck or other outdoor living element in the winter means that we will be utilizing your outdoor space when you aren’t! Having these pieces built when your yard is used the least means that your new outdoor living space will be fully functional the moment you are ready to step outside again. 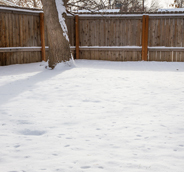 What materials are best for winter decking? 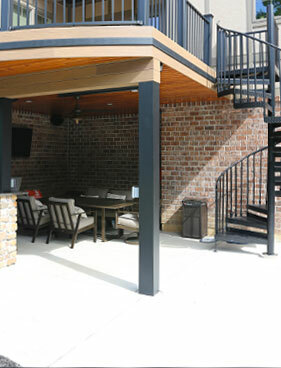 Among our customers, composite decking solutions are by far the most popular choice for outdoor renovation materials, especially during the cold months. 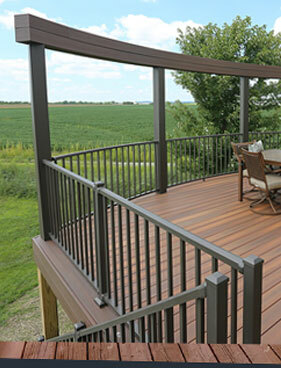 Composite decking materials maintain their integrity year-round, making them the perfect choice for decking in the fall or winter. 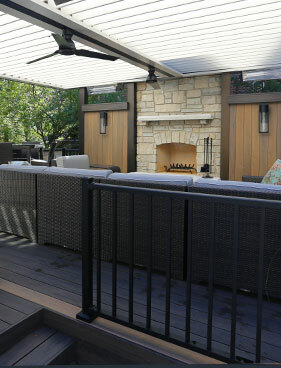 This lightweight material is highly customizable and will look just as stunning in the summer as it did the day it was installed. 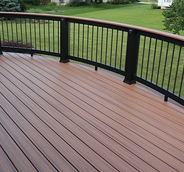 Are you interested in adding a deck to your St. Louis home this winter? Request an appointment today, or call us at 636.532.5008.